HERE'S A PERFECT WATERFRONT PARCEL WAITING FOR YOUR DREAM HOME OR CABIN. THIS PARCEL FEATURES GENTLY ROLLING TERRAIN WITH JUST ENOUGH SLOPE AT THE BUILDING SITE TO . 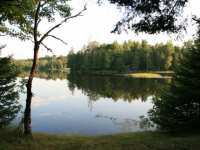 . .
78 Listings in Presque Isle WI ..